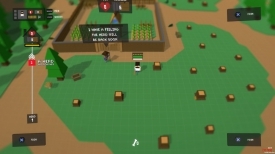 "MineCraft meets the zombie apocalypse in this adventure and crafting game!" 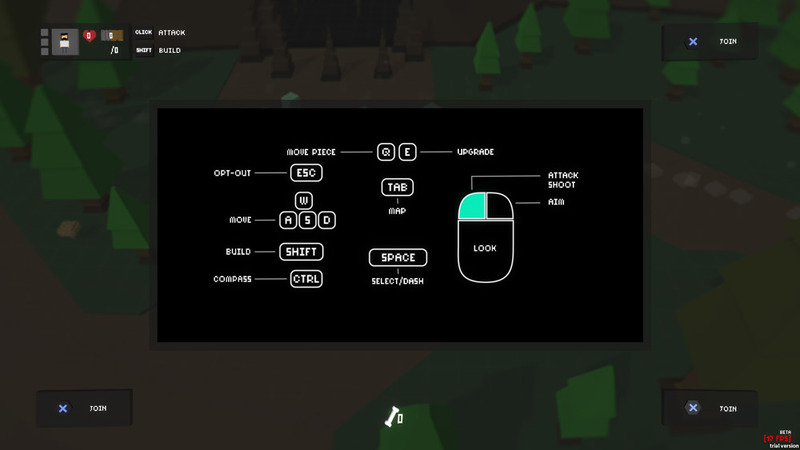 Don’t Bite Me Bro is a low poly, crafting, survival, zombie apocalypse adventure game! If you haven’t rushed straight to the download after reading that description then here’s a bit more information, starting with a beautiful opening sequence which gives you an idea as to how the apocalypse has come about (admittedly no explanation but then who needs one when the game looks this great and is free!). You are soon thrown in to the game world where you meet another survivor and this runs you through a brief tutorial where you will learn how to build and craft items such as walls and traps to help protect yourself from the zombie apocalypse, the game clearly has some influence from Minecraft, well it takes influences from a lot of things but it works very well and although this is still a beta version this looks to be a very promising game. 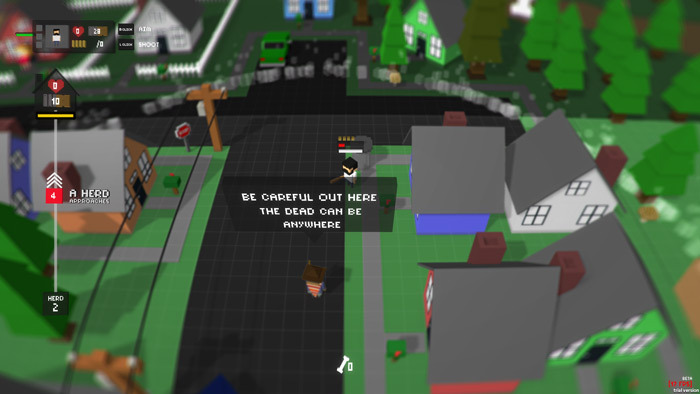 Eventually you are taught how to shoot, but just as in any real zombie apocalypse bullets are at a premium and for the early stages of the game you will have to get used to wielding your baseball bat and using it to try and take out the zombies, but with each herd that comes they grow larger and you will have to try to find new ways to defend yourself. The movement can be a little bit ropey but the low poly style makes the game look great especially when it goes slightly out of focus as each zombie herd approaches. Don’t Bite Me Bro isn’t without its problems with it being so early in development although nothing that can’t be made better with a little bit more polishing, but it’s not often a free game this well thought out and this good looking comes along and you must give this game a try. You can download Don’t Bite Me Bro here for free.